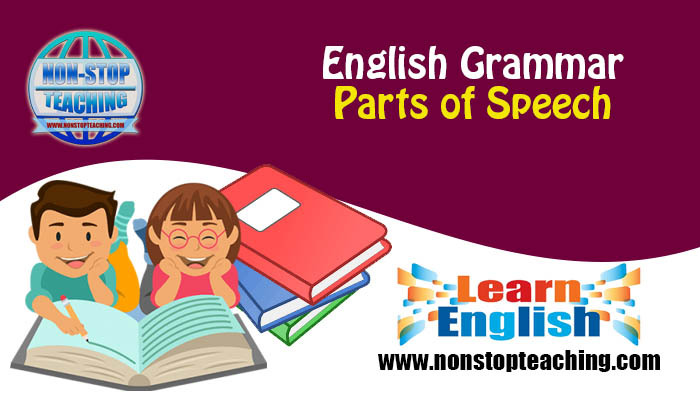 Parts of speech are the classification of words categorized by their roles and functions within the structure of the language. Parts of speech encompass everything a language has in itself. Can you imagine all the words of a language can be sorted into these categories? They play different roles in the structure of a language. Noun refers to people, places, things, ideas, concepts, etc. Example: Michael is a good boy. Melbourne is the best city. A pronoun is used to refer to a noun/noun phrase, or nouns/noun phrases; instead of the repeated use of the same noun(s)/noun phrase(s). Example: Michael is a good boy. He gets up early in the morning. Verb shows an action or an ongoing condition. It is considered as the heart of a sentence. Example: Alex is going home. He loves his home. Adjective modifies or describes noun in a sentence. Example: Alex loves his beautiful daughters. His daughters also love their caring father. Adverbs modify or describe adjectives, verbs, or other adverbs. It answers the questions When? Where? How? or How much? Example: He is running fast. She always reads attentively. Preposition gives context to nouns in relationship to other nouns or pronouns. Example: I am going to France. France is in Europe. Conjunction connects nouns, noun phrases, clauses or sentences together. Example: Julie love chocolate and chips. She loves pasta, but she hates pizza. Interjections are brief and abrupt pauses in speech, usually used for expressing emotions. Example: Oh! That feels terrible. Alas! They have lost the match.